We are opening of an office for Eficode in Benelux 26.9.2018. We would like to warmly welcome you to the opening of Eficodes office in Amsterdam! We would like to warmly welcome you to the opening of Eficode’s office in Amsterdam which takes place on the 26th of September. Eficode is your trusted advisor in digital transformation for the long run. We help your organization perform on ever more advanced levels while providing the capabilities to build the best digital products. 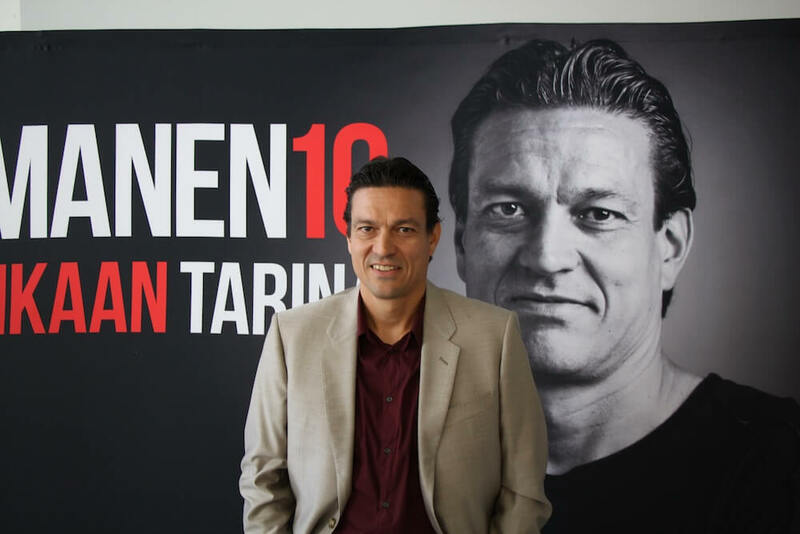 Our new office will be opened by one of the greatest Ajax players ever, Finnish footballer Jari Litmanen. Eficode is proud to have leading goal scorer Litmanen at the opening of our new Amsterdam office in his adopted "home ArenA". Whether it’s football or software development, it is always about finding the best people to play with. With our DevOps, Design and transformation knowledge, our customers have achieved measurable – and often quite remarkable – savings of up to 30.000 euro/hour, simply by being able to accelerate their time-to-market. In the Nordics our company has already established a strong track record of helping customers succeed across all industries: Telecom, Finance, Automotive, Retail, High-Tech and many others. Now we are launching in the Benelux region. With Eficode you’ll have the partner to stay on the winning edge of key emerging technologies including artificial intelligence, big data analytics and cloud. Our expertise is directed at making it easy for you to continuously benefit from the adaptation of best-known practices, such as AI-driven software development, IoT, high level of automation and predictive data analytics. When we play together, we teach each other – so let’s team up and build the future as one. - Office opening by one of the greatest Ajax players ever, Jari Litmanen. He has had an extensive international career for 21 years, from the late 80's until 2010 and he played in Ajax from 1992-1999 and also in 2002-2004. Coming from a small country, how is this possible? Litmanen will tell us his story and examples of success and failure in the road to building a team and winning together. - A welcome to the Netherlands by the Finnish Dutch Chamber of Commerce and the Municipality of Amsterdam. - History of Linux: Linux Guru Ari Lemmke will share his story behind the Linux development and visions on current IT trends. - Introduction to Eficode & impact on industries digital evolution by Eficode Executives. - Forrester Analyst - DevOps Trends & Automation developments. - Eficode Value Proposition Presentation. - Valued Partners: AWS, HPE/Vertica, Atlassian & Puppet. Day will continue with networking with snacks & drinks on location.